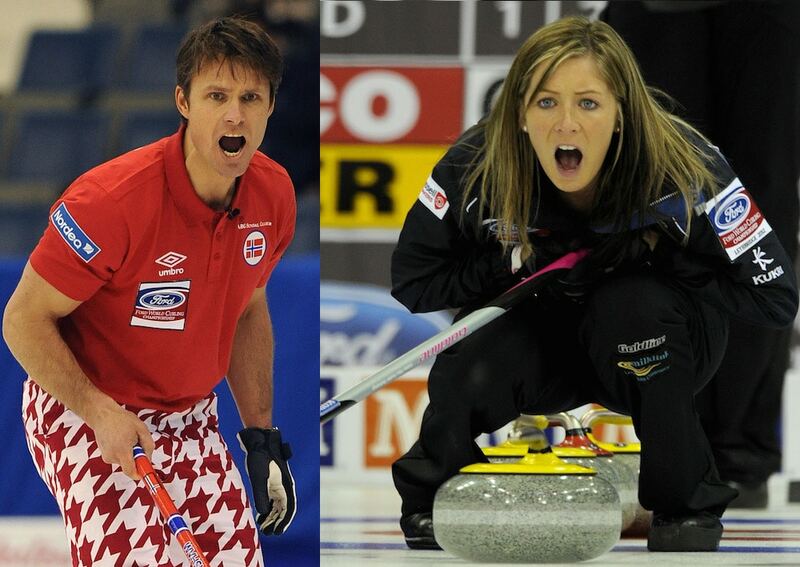 All Posts / Our Championships / Team Europe confirmed for 2015 WFG Continental Cup! Curling’s version of the Ryder Cup will introduce a new format beginning with the 2015 event, set for Jan. 8 to 11 at the Markin MacPhail Centre in Calgary, as it’ll be Team Canada taking on Team Europe this season and in the 2017 event, while it’ll be Team Canada against Team World (including the U.S.) in the 2016 and 2018 events. 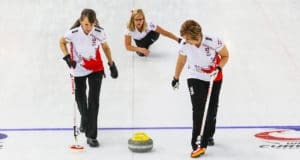 Three men’s and three women’s teams for Team Canada will take on Team Europe in various disciplines during four days of competition — traditional team games, mixed doubles, singles, mixed skins and standard skins games. Each segment awards points for wins (or ties). A total of 60 points are available, meaning the side that earns more than 30 points will be declared the champion. Reigning world men’s champion Thomas Ulsrud of Norway, two-time world champ and Olympic silver-medallist David Murdoch of Scotland and 2013 world men’s champ and Olympic bronze-medallist Niklas Edin of Sweden will be the men’s teams for Team Europe, while 2013 world champion and Olympic bronze-medallist Eve Muirhead of Scotland, Olympic silver-medallist Margaretha Sigfridsson of Sweden and world championship bronze-medallist Anna Sidorova of Russia will be the women’s teams. Four of the Team Canada representatives are already known: Olympic gold-medallists Brad Jacobs of Sault Ste. 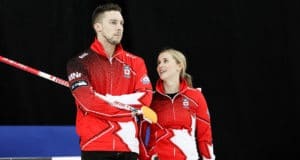 Marie, Ont., and Jennifer Jones of Winnipeg, along with the two Team Canada squads for the 2015 Tim Hortons Brier, presented by SecurTek, and Scotties Tournament of Hearts: John Morris of Calgary and Rachel Homan of Ottawa. The final two Canadian entries will be the winners of the 2014 Home Hardware Canada Cup of Curling, presented by Meridian Manufacturing, Dec. 3 to 7 at Encana Arena in Camrose, Alta. 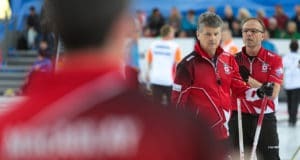 Should the Home Hardware Canada Cup winner already have a WFG Continental Cup berth, the next highest team on the Canadian Team Ranking System will qualify. It will be the 11th edition of the WFG Continental Cup; in the previous 10 editions, the combined Team North America side (four Canadian and two U.S. teams) won six times, including last January’s highly successful event at the Orleans Arena in Las Vegas, while Team World (European and Asian teams) prevailed on four occasions. For the six mixed doubles and six singles matches, one point will be awarded for each victory, one-half point if tied. There will be 18 team games (nine men’s and nine women’s) played, each worth one point for a win and a half-point for a tie. All games are eight ends and there are no extra ends. There will also be six skins games, with each game worth a total of five points to the winner. Previous: Home Hardware to sponsor Canada Cup!